DON’T MISS THE QUIZ OF THE YEAR! Quiz Mistress Linda Vijeh has put together another fascinating mix of fun and interesting literary questions to challenge you. And – as we are celebrating Somerset Day as well – there’ll be a fascinating mix of fun and interesting Somerset questions as well! Make up a team of friends and colleagues, or come along on your own and join a “harlequin” team. The choice is yours! Maximum 6 people per team. Do you enjoy writing poetry? We are inviting you to come along to read and talk about your own or favourite poetry and meet Alison Brackenbury one of our nation’s best loved poets. Do come along and join us in the comfortable surroundings of the Warehouse Theatre Foyer, and enjoy discussing a subject close to our hearts. If you are interested, please phone Brenda Lake on 01460 419731, or Celia Crookes on 01460 394770, or 07976 387326. Join us for a fun, friendly evening by taking part in a lighthearted “blind tasting sampling session” followed by an informative talk from Ian Gibson. We will then sample a few of the more unusual wines stocked by Drew, at The Ilminster Bookshop. Some of his most popular wines come from Lebanon and the smaller wine producing regions of Europe, which Drew will talk about in more detail. Ian has spent 23 years in the drinks/wine trade in management, marketing and lecturing, and holds a Diploma from the Wine and Spirit Education Trust. Drew holds a Level 2 in Wines & Spirits. Orders can be taken for wines tasted, subject to availability. This event is always popular and sells out quickly, so book your ticket early. Talented printmaker and Royal Academician Chris Orr takes us on a delightful fantasy odyssey which affectionately pokes fun at some of the most famous artists of the past. In “The Miserable Lives of Fabulous Artists,” artists from Edward Hopper to Pablo Picasso find themselves in weird and wonderful situations. Edvard Munch holidays at the seaside, John Constable RA is disturbed at his easel by frolicking nudists, and an unfortunate incident occurs in Barbara Hepworth’s studio. Chris trained at the Royal College of Art, graduated in 1967 and was elected as Royal Academician in 1995. He was awarded an MBE and made Professor Emeritus in 2008. Secateurs and seed banks, ha-has and herbaceous borders, greenhouses and lawnmowers – these are the some of the inventions and ideas we take for granted now, but which were once radical new ideas. “The Remarkable Case of Dr Ward and Other Amazing Gardening Innovations” looks at the way we garden today through the prism of 50 innovations. Abigail Willis is an arts and gardening writer whose previous book “The London Garden Book A-Z” has twice been shortlisted for the Garden Media Guild’s Inspirational Book of the Year award. She lives and gardens in Somerset. 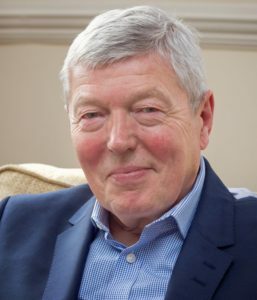 Music has always been an integral part of Alan Johnson’s life, (his latest book was launched at Abbey Road Studios of Beatles fame) and tonight he shares those musical memories with Mike Lanigan. After leaving school aged 15 and failing to become a rock star, Alan became a postman. He later became an MP, and served in the Blair and Brown governments as Education Secretary, Health Secretary and Home Secretary. Alan’s first book won the Royal Society of Literature Ondaatje Prize, his second won the National Book Club Award for Autobiography of the Year, and his third won the Parliamentary Book Award for Best Memoir. He is an accomplished speaker and will be remembered for more than holding his own against Ian Hislop and Paul Merton in “Have I Got News for You”. Join local author Andrew Powell-Thomas as he explores the many places that make Somerset so special. From the natural splendour of moorland, parks and miles of coastline to the man-made treasures of castles, magnificent houses and museums. Somerset really does have something for everyone! Most of Brighton’s criminals wiped one another out in a vicious battle in 1951, and now Inspector Steine rather enjoys life. No criminals, no crime, no stress. So it’s really rather annoying when Constable Twitten finds a series of burglaries to investigate. And it’s even more annoying when he goes to the theatre and sits next to a critic who is promptly shot dead. In this session, Lynne Truss discusses her work with Eric Beckley. Her first book, “Eats, Shoots & Leaves: The Zero Tolerance Approach to Punctuation,” was an international bestseller and won the British Book Awards Book of the Year. In a career that has included acting on stage and television, sales and marketing, directing a charity, and touring a musical theatre show, there has been one thing that has never changed….Mike’s love of football. He was a junior player with Sheffield United, Chairman of Corby Town FC and worked alongside football legends Gary Lineker and the former Arsenal Manager, Bertie Mee MBE. So when he decided to write a thriller, it just had to be about the Beautiful Game! In his talk he covers a brief history of the game, the circumstances behind the writing of “Dangerous Score” and why he believes that when football and charities work together…everyone wins. David Croman ~ Perception and Deception – Is Seeing Believing? David Croman has become known as a lecturer who presents lively and well-illustrated talks on a variety of fascinating topics, including lives of famous scientists, evolutionary theory and the link between the mind and behaviour – in this case, the difference between what you see, and what you think you see. His background as a College and University lecturer in psychology and biological sciences, together with an interest in history, has led to him offering broad-ranging and thought-provoking subjects that touch on what it is to be human. Be prepared for humour and surprises! Cornwall and romance: a heady mixture. “The Cornish Lady” is Nicola Pryce’s fourth novel set in late eighteenth century Cornwall. Join her illustrated talk to explore the history behind her book, the photos that inspired her story, and the inspiration behind her characters. When not scrubbing decks, Nicola Pryce will be found in her garden in the beautiful Blackdown Hills in Somerset. After a career in nursing, she came late to writing, and would encourage everyone to follow their dreams. The Book is perhaps one of the most significant and iconic design objects of western culture. Artists and crafts people have continually sought to improve our expectations of what a book might be by challenging conventions, questioning the norms and occasionally breaking the rules! Their inventive approach has brought forward new designs and ideas which encourage us to rethink the purpose and function of books. Sometimes subversive, sometimes delightful; these ideas often go hand in hand with the pioneering philosophical and psychological viewpoints of their time. Get ready for some surprises. Hannah Richards is a Nutritionist and Lifestyle Coach, and author of “The Best Possible You.” She runs The Gut Clinic in London’s South Molton Street specialising in all forms of digestive health, and runs Gut Retreats at her clinic in Somerset to help people become the best versions of themselves. Learn how to spot the signs and symptoms of your body and what they are telling you! From dark circles under your eyes to a sore left shoulder, these ‘tells’ of the body are essential to learn for optimal health. Slummy Single Mummy (Jo Middleton) is the creator of what she modestly describes as “quite probably the best mummy blog in the TA1 postal code area”. She has won a good clutch of awards, including the Vuelio ‘Best Parent Blog’ award for 2018, and is currently ranked by Vuelio as the number one parent blog in the UK. Jo started Slummy Single Mummy back in 2009 and her blog covers everything from UK mini breaks to pension planning. Over the years she has also worked as a speaker, copywriter and journalist and has written for The Guardian, The Times, The Lady, The Green Parent, Good Housekeeping and more. The talk will look at how Jo started her blog, and grew it into what then became a platform to launch her first novel, “Playgroups & Prosecco”. “The Hurricane Girls” is the remarkable true story of the women pilots of World War II. They delivered everything from Tiger Moths to Hurricanes, Spitfires and Lancaster bombers to operational RAF stations. Although some people thought they’d be better off scrubbing floors or cooking their husband’s dinner, these brave women took to the skies in all weathers with just a compass and a map to ensure the RAF had a steady supply of aircraft. Their stories are funny, tragic and inspiring. Jo Wheeler is a writer and radio documentary producer who has produced numerous historical and arts programmes for the BBC. Adam Hart-Davis is best known as the presenter of “What the Romans Did for Us.” He has also read several books, and written about 35 – recently most of these were on time, engineers and science. He spends hours making chairs, tables and spoons. He will be talking about his book, “Very Heath Robinson,” which celebrates the comic artist who gave his name to a dictionary definition. Adam has loved Heath Robinson’s brand of humour since childhood, and enjoys sharing his passion with an audience. We have held Poetry Recital Competitions in all of our Literary Festivals to date, with some outstanding winning performances. Greenfylde School will again be hosting the competition this year. Children of all ages from local schools have been invited to perform a chosen poem, adding intonation, action, and excitement, and the winners from the local heats are competing tonight in the Final! We hope to see many young people from the area bringing performance poetry to life. For anyone living with or supporting someone with the onset of dementia, this is a fortnightly, pop-in cafe open from 10.00 a.m. to 12.00 noon. Just call in during Literary Festival Week to share your favourite poems. Almost exactly 200 years after Queen Victoria was born, Helen Rappaport explores what happened after the death of Prince Albert in December 1861. His death was a catastrophe for Victoria, who not only adored her husband but had, through twenty-one years of marriage, utterly relied on him. Without Albert to guide and support her, the Queen retreated into a state of pathological grief which nobody could penetrate and few understood. Historian, author and TV commentator, Helen offers a new perspective on the causes of Albert’s death and tracks Victoria’s mission to commemorate her husband in perpetuity. To find the answer to all those questions you wanted to know about fungi, but didn’t know who to ask – “What’s the difference between mushrooms and toadstools?” “ How many are there?” “Can I eat it?” “How do I get rid of the rings on my lawn?” – you need to come to this fascinating talk by one of the UK’s leading authorities on the subject. Michael is a natural history writer, a former BBC Natural History presenter and Chair of the Fungus Conservation Trust. He also leads the local East Devon/South Somerset foray group. Edward is a life-long naturalist and conservationist and has served as a trustee of four different wildlife charities. He wrote a history of the first 50 years of the Somerset Wildlife Trust, and produced the “Nature Page” for “Across the Isle” for some years. One of Edward’s particular passions is speaking up for those organisms that most of us view with distaste or even fear. His championing of bats is only one example. In this talk he looks at plants which are the subject of irrational fear and suspicion and suggests that their reputation may be connected with their use in magic and wort cunning. Investigating this theme has led him to uncover a wealth of bizarre beliefs and odd uses of our native flora over the centuries. An unsolved murder lies at the heart of “The Queen’s Spy,” Caroline Newark’s third book about the women in her family tree. You are invited to don the mantle of your favourite detective and see if you can uncover the identity of the killer. The death of Edward II may have happened seven hundred years ago but this is a very modern tale of greed, fake news and the politics of sexual power. From the first Elizabethan age to the second, Adrian’s book reveals Britain’s monarchs as seen through the eyes of those who kept their secrets. It is a history of family life. The families concerned were royal families – but they still had to get up in the morning. They ate, entertained their friends and worried about money. “Behind the Throne” is nothing less than a reconstruction of life behind the throne. Henry VIII kept tripping over his dogs; George II threw his son out of the house, and James I had to cut back on the drink bills. Find out what it was like to dine with queens, and walk with kings. Join the roller coaster ride through the incredible career of Fleet Street photographer Richard Lappas. His amazing book includes iconic photographs of news events and celebrities on and off duty that have hit the headlines over a number of decades. The Royals feature strongly with strong anecdotal stories behind the pictures that were often making the front page of the National Press! Every one of Richard’s pictures tells a story and this book reveals the struggle to get the photographs that we all take for granted, and the often super human efforts to capture people enjoying their fifteen minutes of fame. Kate was the BBC’s Chief News Correspondent for 14 years, and made her reputation as the SAS stormed the Iranian Embassy in 1980. She reported live and unscripted to one of the largest news audiences ever whilst crouched behind a car door. She was with the Coalition forces as they chased Saddam Hussein’s troops out of Kuwait, she witnessed the American bombing of Tripoli and the Chinese authorities’ killing of protestors in Tiananmen Square. Kate has acted as judge for a number of literary prizes; her most recent book is, “Fighting on the Home Front”.